Helen Oyeyemi has won a PEN America Literary Award 2017. She has won the book for an exceptional book-length work of literature by an author of color published in 2016. A few weeks ago PEN America announced the finalists for the 2017 PEN America Literary Awards in several categories. This is a highly respected award and it’s not too shabby as US$315,000 is shared by its winners in prize money. Those in the running included Petina Gappah, Teju Cole, Yaa Gyasi, Helen Oyeyemi, and Abdellatif Laâbi. 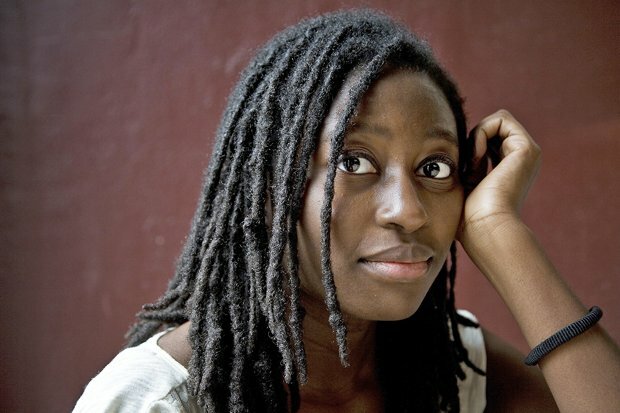 PEN USA has announced the winners of some of the awards and there is one African winner; Helen Oyeyemi for her 2016 book What Is Not Yours Is Not Yours. This was in the category for an exceptional book-length work of literature by an author of color published in 2016 and she goes home with US$5,000. The judges for the category were Ishmael Beah, Major Jackson, and Bich Minh Nguyen. Oyeyemi for the uninitiated was born in Nigeria, moved to the UK at the age of four and now lives in Prague. Some of the books that she has written in her career include What Is Not Yours Is Not Yours (2016), Boy, Snow, Bird (2014), Mr Fox (2011), White for Witching (2009) , The Opposite House (2007), The Icarus Girl (2005), and Juniper’s Whitening and Victimese (2005). This will not be the first nod from the literary establishment that the writer has gone home with. In 2013, she was named as one of Granta ‘Best of Young British Novelists’ and three years before that she was awarded the Somerset Maugham Award. Two of the awards are to be announced at a later date. One is the PEN/Jean Stein Book Award which recognises a book-length work of any genre for its originality, merit, and impact worth $75,000 to the winner. The other is the PEN/Diamonstein-Spielvogel Award for the Art of the Essay For a book of essays published in 2016 that exemplifies the dignity and esteem that the essay form imparts to literature worth $10,000 to the winner. Both awards have Teju Cole in the running.